Doogee, a company that came into the limelight with its impressive budget-friendly smartphone, the Doogee Mix. The phone featured a bezel-less design, and it was one of the first phones to come with such design in its price range. 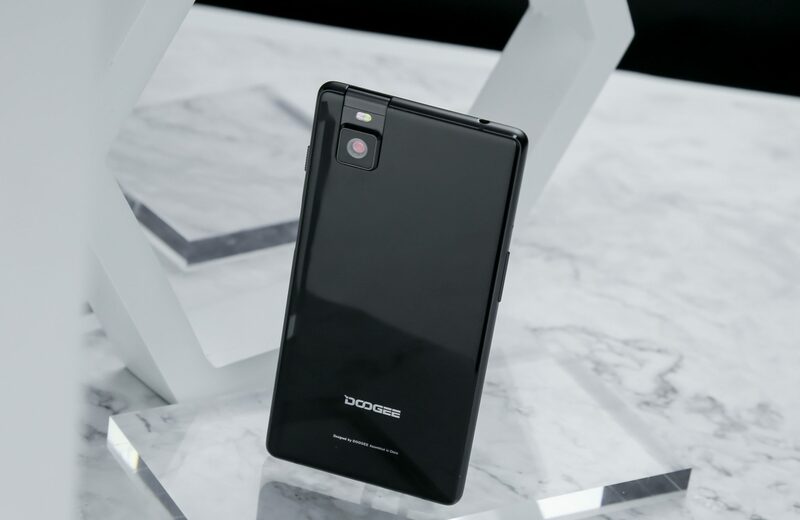 The phone released in June and just four months after its release, the Doogee Mix 2 was released in October. The Mix 2 surely failed to impress like its predecessor but the company is soon launching the Doogee Mix 3 as the press render, and a hands-on image of the phone has appeared today that shows something interesting regarding the design. While designing a phone with as fewer bezels as possible, it is important to move the earpiece and the front-camera to a better position. We have seen the Mi Mix with the front camera placed on the bottom bezel which is kind of weird since users have to flip the phone to get a perfect selfie. Also, there are phones like Essential Phone and the iPhone X where the display has a notch to place the front camera which looks weird. 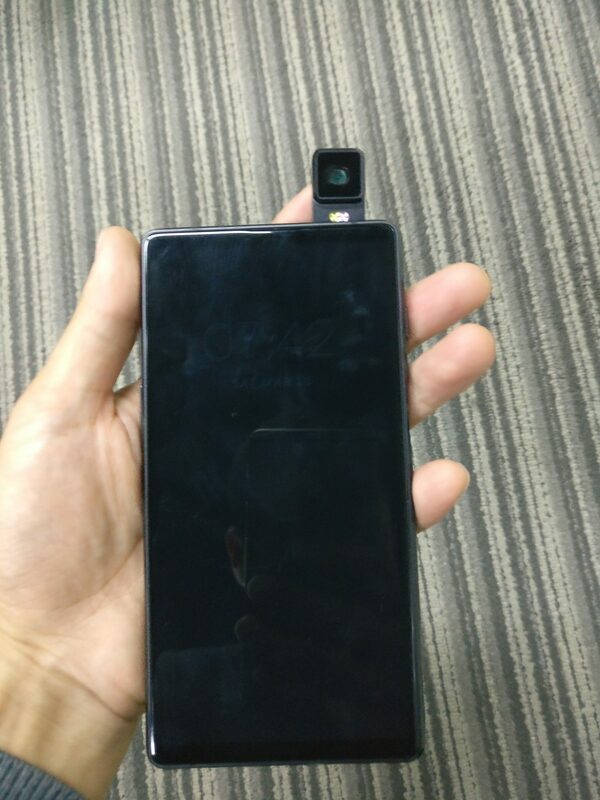 The Doogee Mix 3 is coming with a pop out camera module as seen in the image above. With this, the users will be able to use the rear camera as the front camera by just popping it up from its position on the rear. 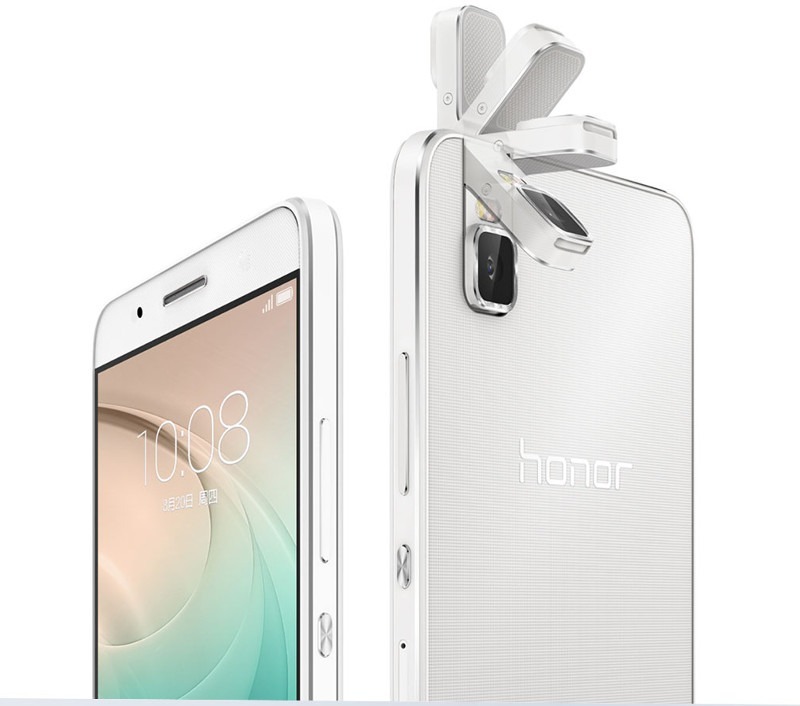 Remember the Honor 7i with a pop-out camera module? Well, the same design is implemented on the Doogee Mix 3. Due to this, the phone will have a larger display in almost the same footprint as its predecessors. We have no information about the specifications yet so stay tuned for more updates.